iCandee is a full service custom apparel and branded merchandising company located in Chicago, IL. They offer everything from custom apparel to promotional products, as well as in-house printing, production and graphic design. 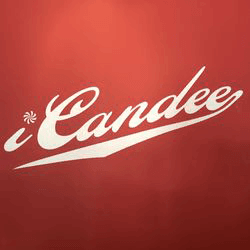 iCandee Marketing was experiencing significant growth, but was outgrowing their current facility and needed to optimize their IT systems while controlling costs. This included a new facility, with a more sophisticated phone system, and a need for iCandee’s growing team to be able to work collaboratively in real-time. While the team at iCandee were excellent marketers, they had little experience setting up a telephony system. iCandee needed a solution that would allow them to increase workflow and productivity and allow the entire team to work together seamlessly. Logistically, they needed the hardware to get this done along with the expertise to provide IT support and set up a cost-effective solution. iCandee selected The SMB Help desk to help design and implement a cloud based, service-oriented IT model based on their business needs. SMBHD immediately identified opportunities for efficiency, such as the ability to put client documents on the cloud. By using Sharepoint, iCandee’s employees can access client files, use applications as though they were in the office, and collaborate remotely on their projects. SMBHD also helped facilitate iCandee’s transition to a new office, where their team of experts set up and managed their hosted phone system to better route their phone calls and communicate with clients. The integrated, collaborative approach proposed by SMBHD resulted in an immediate impact on ICandee’s order processing time. Prior to working with SMBHD, an order that would typically take an hour has been reduced to 5 minutes because multiple people can work on it at once. iCandee previously was limited to working on 20-30 clients at a time but can now work on up to 400 projects at a time now that the processes are so streamlined. Working with SMBHD has given iCandee an edge by allowing them to take less time focusing on processes and more time focusing on their clients.